Now that summer is almost gone, it is time to get back into blogging. 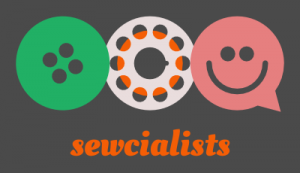 I hit a bit of a sewing slump earlier this summer, as shortly (as in hours) after my last post I had to get surgery on my jaw (I guess I was calming my nerves by writing a blog post). While it was just a minor operation, not being able to eat properly for a while left me without much energy for crafting. Add to that happier distractions like house guests and outdoor activities and before I knew it several garments I had intended to finish before the summer ended up becoming long-term term projects. 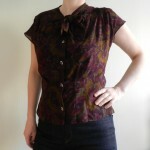 I doubt, however, that any of them take as long to complete as this blouse, one of my oldest UFOs. 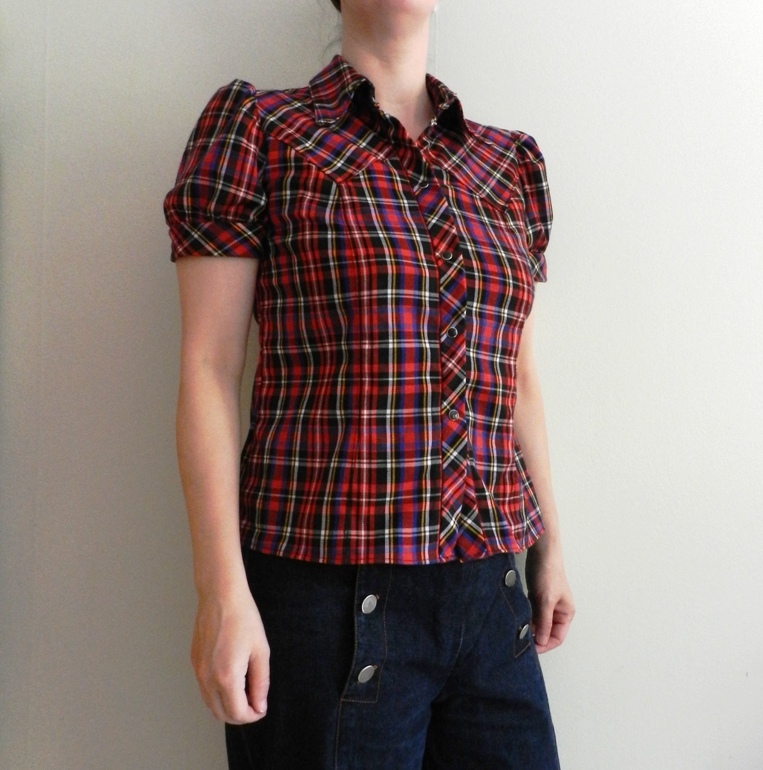 I am not entirely sure when I cut out the pattern pieces for this blouse, but it must have been at least eight and possible as long as ten years ago! The pattern is no. 122 from Burdastyle 02/2005, one of my favorite Burdastyle issues and with seven finished garments my most used magazine. Pattern overview of Burdastyle 02/2005. 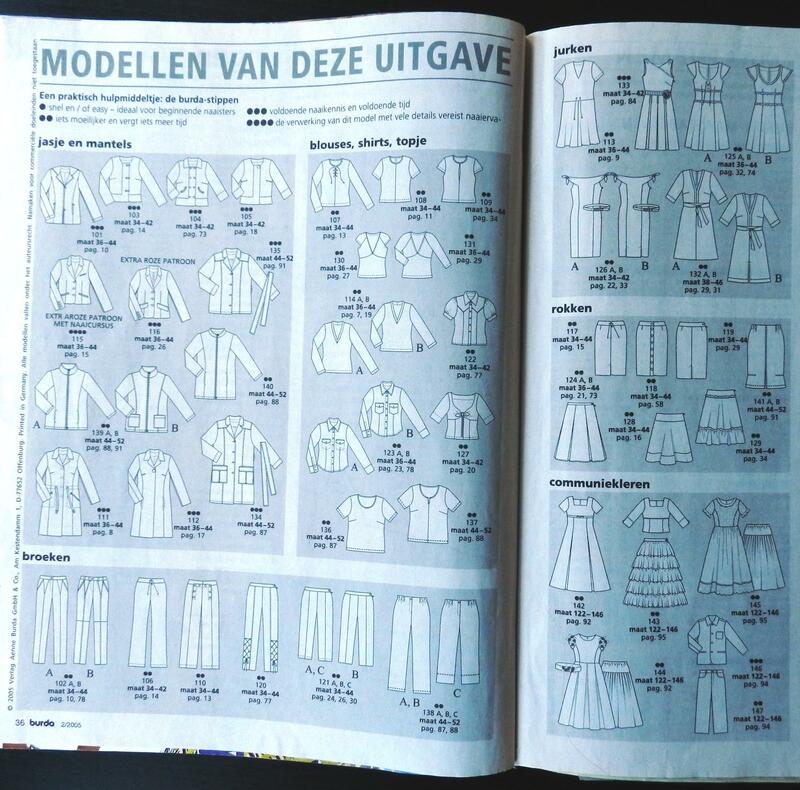 So far, I have completed five skirts from this issue (nos 124 and 129 once and no 128 three times), the sailor pants no. 110 and now blouse no. 122. 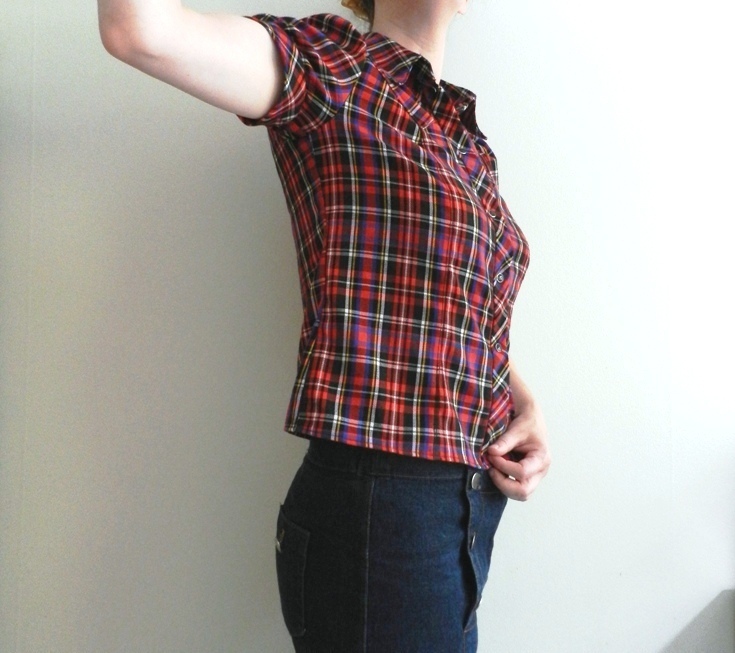 Back then I almost exclusively sewed skirts, so making a blouse was quite challenging to me. The project stalled when I could not figure out how to attach the piping that was supposed to go between the yoke and the lower shirt panels. To be honest, I do not think I read the magazine instructions very well, nor did I know about the existence of handy sewing machine accessories like piping feet. 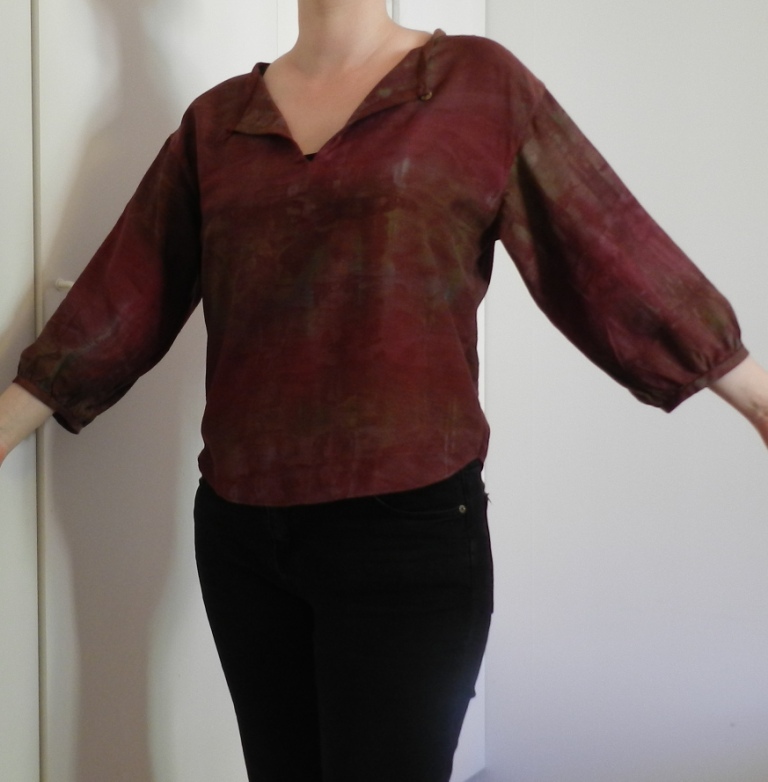 About two years ago, Johanna from the Last Stitch posted about this pattern and her lovely version making me realize that it was probably worth trying to finish the blouse after all. It took me a while to recover all the pieces, which over time had become separated, and then another year or so before I actually felt like assembling them. The piping I had cut was no longer there, apparently I had used the pieces on the skirt I made two years ago. I figured I might as well leave off the piping altogether, after all, Johanna omitted it too! 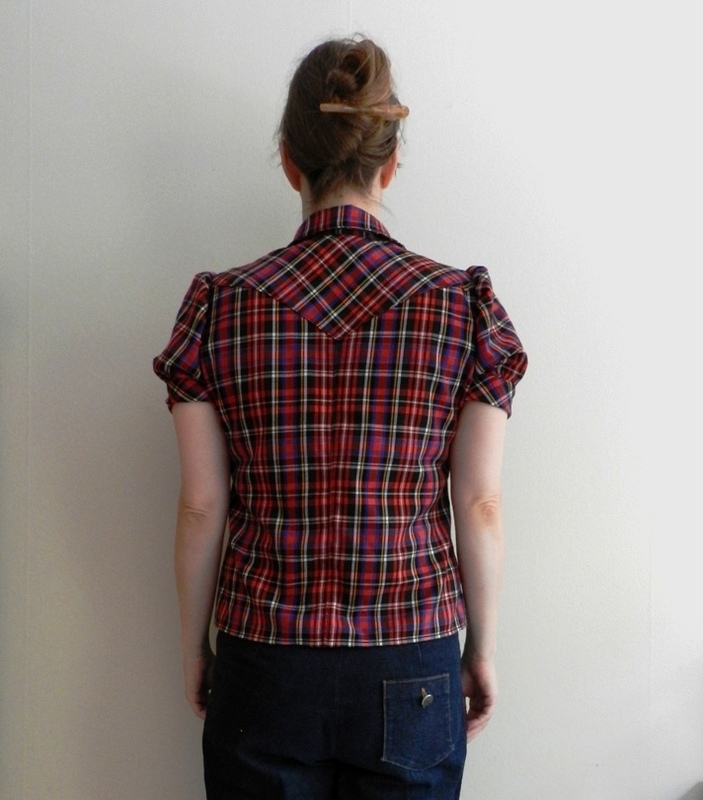 As I cut out the pattern pieces many years before I had even heard of such a thing as a Full Bust Adjustment and when I was somewhat slimmer, I was pretty sure that the blouse was going to be too tight around the bust in an unaltered size 40. The princess seams on the front and the centered back seam were already sewn and top-stitched, so I decided to first sew the side seams and then assess how much the princess seams on the front needed to be let out. I had used 1.5cm seam allowances throughout, so there was some room to add extra width. In hindsight, it should probably have cut new front panels after doing an FBA instead of trying to make it work with these old fraying pieces. 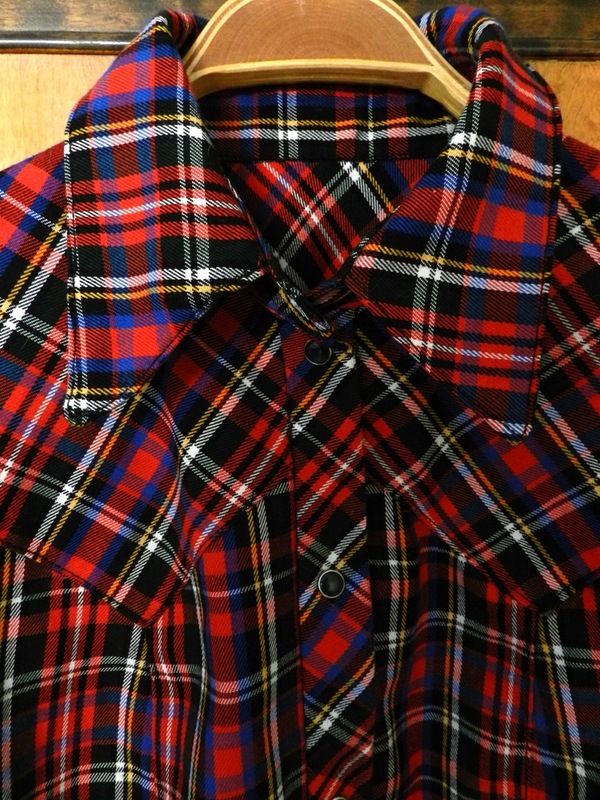 I still have some leftovers of this plaid cotton or cotton blend, but not enough for another full garment. It would probably have been faster too than unpicking the seams and top stitching and would definitely have resulted in a better fit. Moreover, the fabric frays badly, which in combination with narrow seam allowances does not bode well for this garment’s durability. Another thing that leaves room for improvement is the plaid matching. 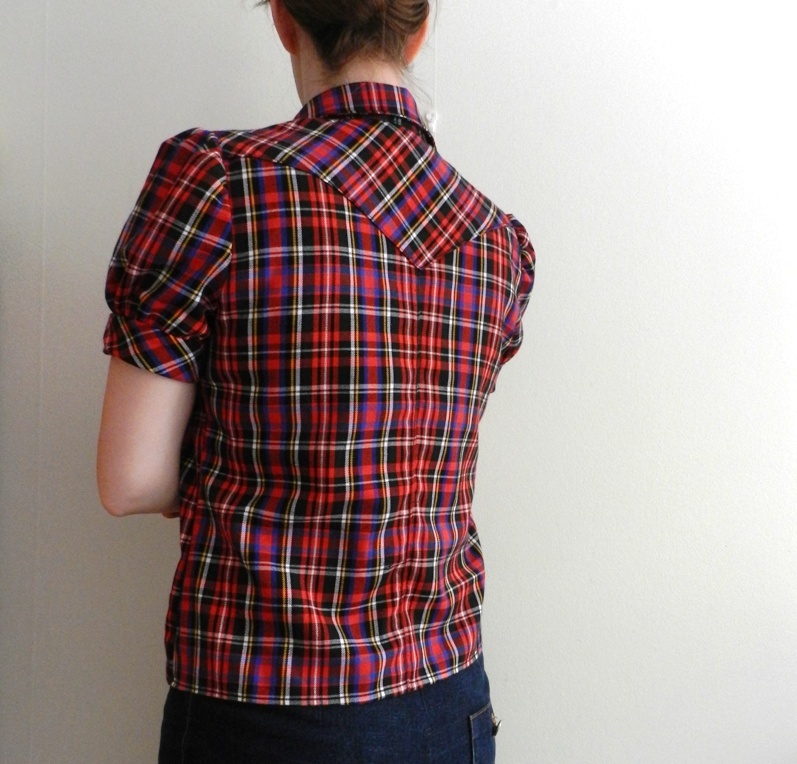 While past me did manage to cut out the pieces more or less symmetrically, the front and back do not match and there are a couple of other places where I could have done better, especially because this this woven plaid has two good sides. Next time I would also make the sleeve bands somewhat wider, as they are pretty tight around my upper arms (because I am so very muscular, of course). 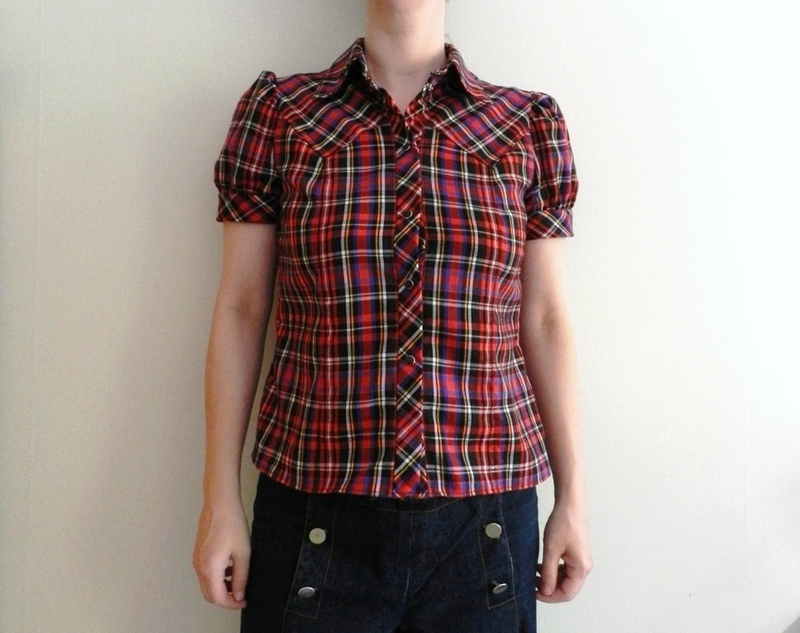 Fitting issues and imperfect pattern matching aside, I am actually quite pleased with how this blouse turned out. I think that this pattern is a true gem. I love the pointy yokes, the princess seams, the collar and the puffy sleeves. 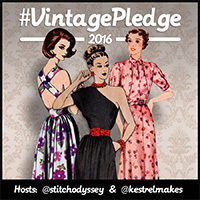 It has a nice retro western vibe and I like the possibilities for colour blocking. The only thing that is missing is a version with long sleeves to get me through the colder seasons. 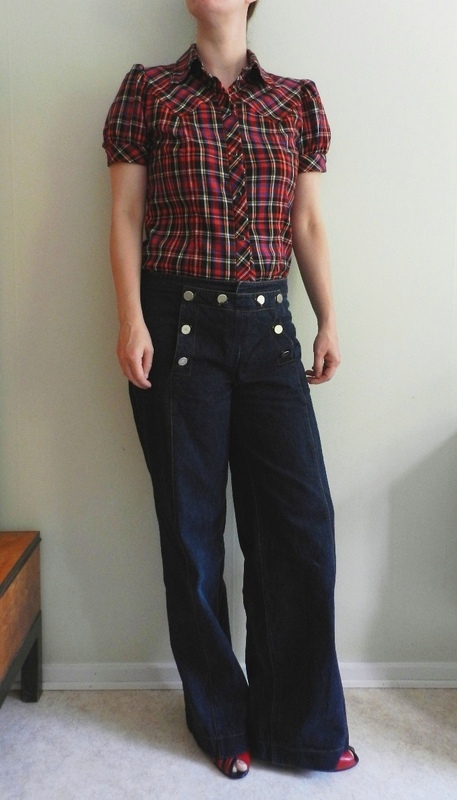 The blouse combined with the sailor pants from the same issue: 2005 all the way! I have to say that I am still very fond of many of the Burdastyle magazines I purchased between 2004 and 2012. Perhaps the styles were a bit more classic/vintage and the garments more fitted, which makes them seem a more timeless to me (or I am just getting old and sticking to the way vintage styles were translated into current fashion about a decade ago). Anyway, when I sorted out my pattern tracings earlier this summer, I found this pattern, so I will only have to do an FBA and then I am ready to go. 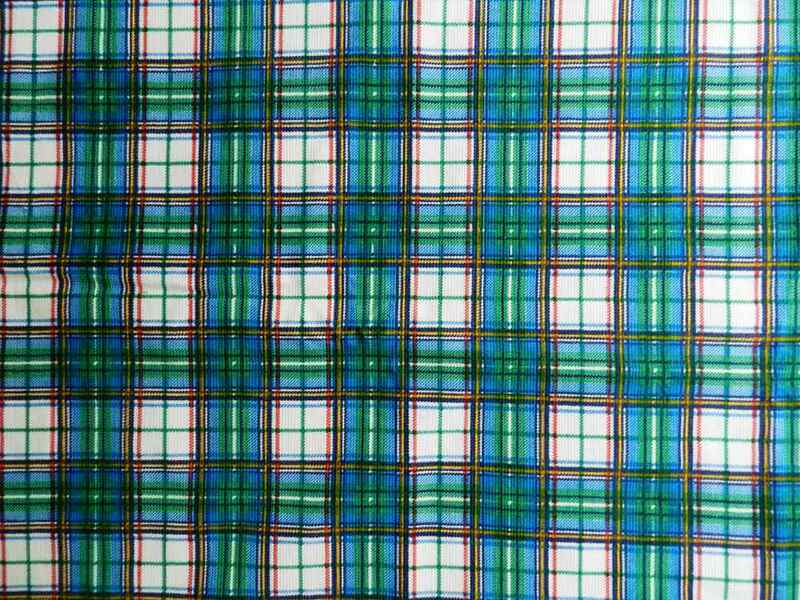 Like all plaid fabrics in my stash, this one was bought second hand, although it was so long ago that I do not remember how much I paid for it. 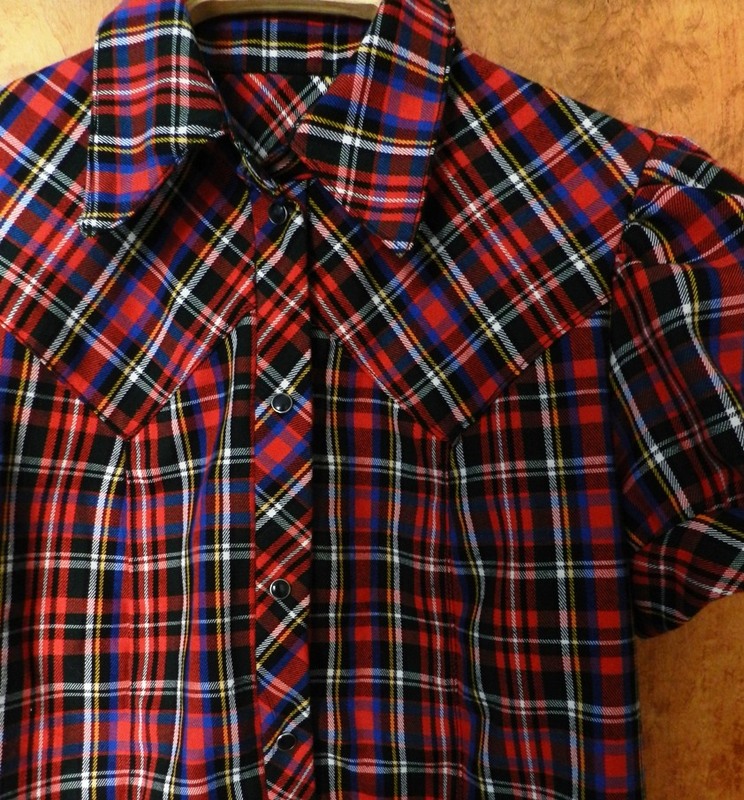 I hardly ever see any new plaid I like in the fabric stores around here – I think it might have something to do with the available colourways – but I will end this post with some of my recent thrift store finds that may or may not be used to make another puff-sleeved western blouse. 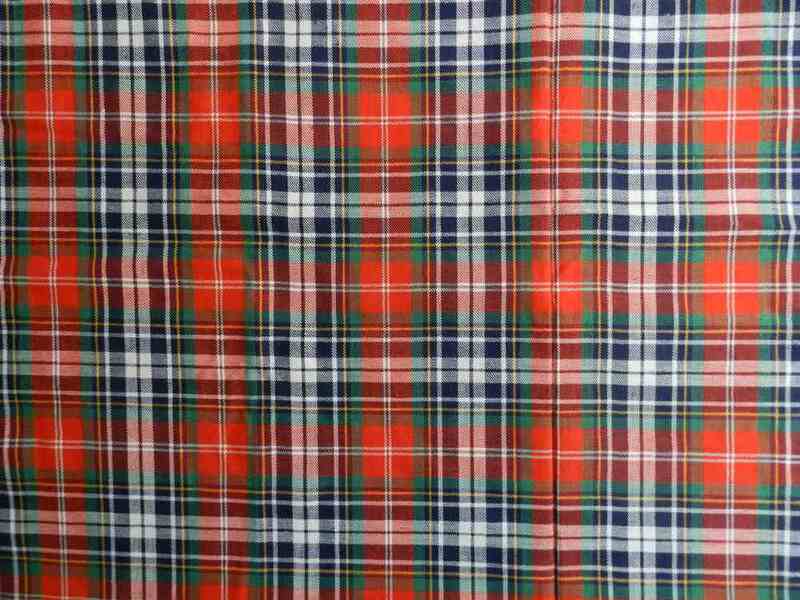 This woven cotton plaid is very narrow, only 70cm from selvedge to selvedge and 2.3m long. 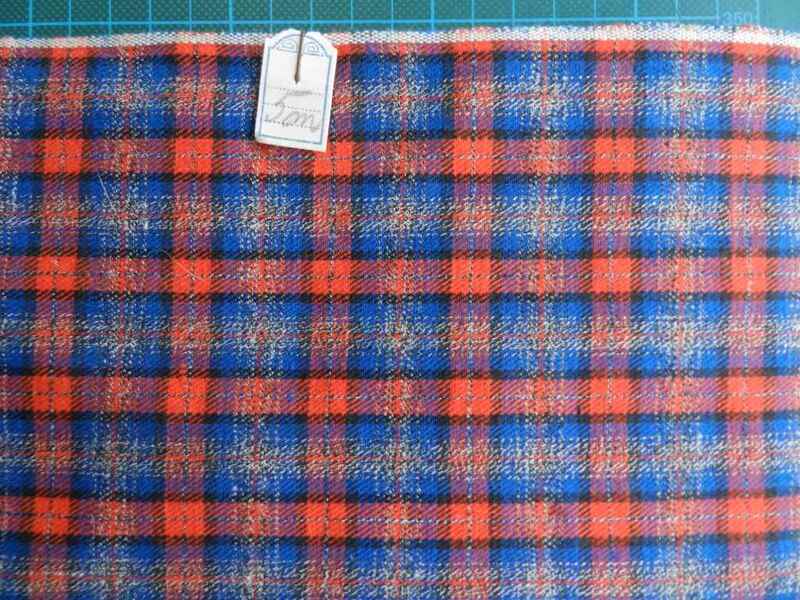 Another narrow, 75cm wide, woven plaid with an old tag attached. Only 3.5m left, though. Very soft and drapey needlecord, 2m x 90cm. 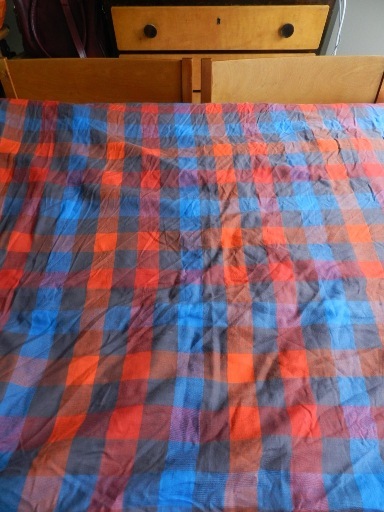 This light-weight flannel I already bought a while ago: 8m x 80cm. 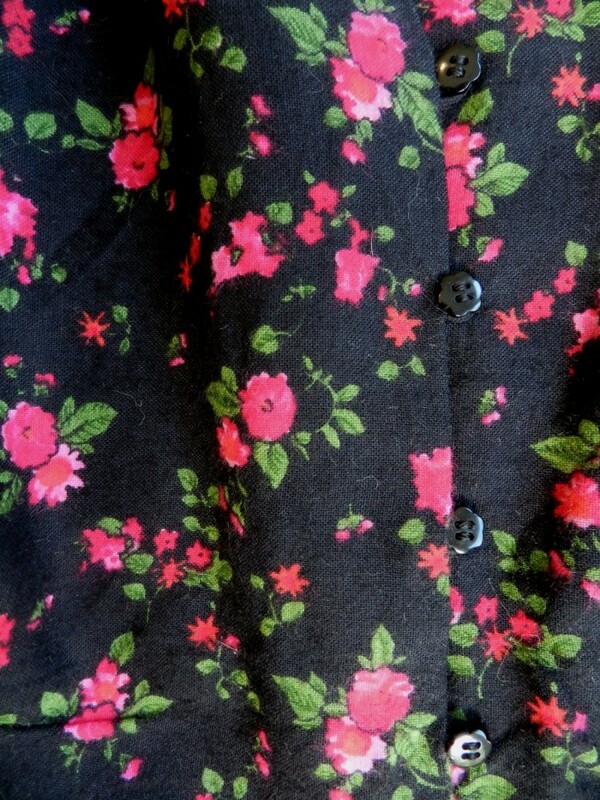 The fabric is thrifted and as I must have bought it over a decade ago, I am going to count it as free. The snaps I bought last year at a deep discount when a local haberdashery store closed down. I used 5 (from a package of 10), which amounts to c. SEK 8 (about EUR 0.8).